I am delighted to announce that I will be offering a retreat at Cortijo Romero in April next year! The theme of the retreat is ‘Yoga and The Somatic Voice’ and it will include delicious somatic yoga, voice work, yoga nidra, meditation and group interaction. 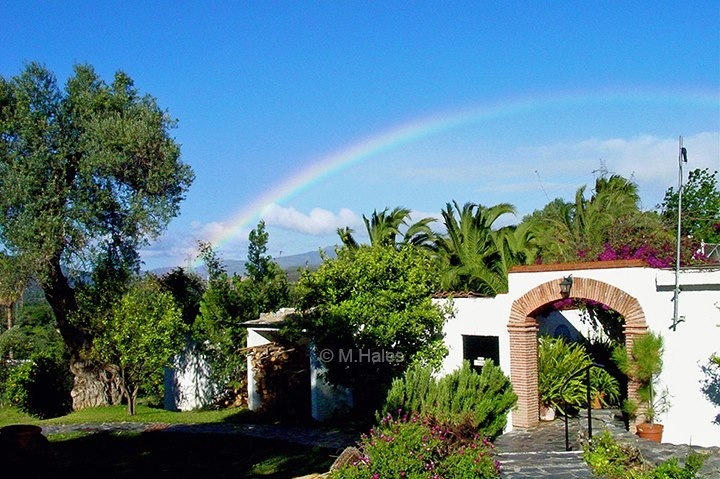 Take a look at the Cortijo Romero Website and book through them if you would like to join! This holiday will combine the ancient and modern day teachings of East and West in a way that is easy to understand and integrate into modern life. It fuses together Self Inquiry, Intuitive Movement and Yogic Practices and Vocal-Play, and includes both individual and group activities to allow a space to drop into presence not only with ourselves, but with each other. This is an embodied journey into the heart, with the intention to meet you where you are and consciously respond to you from this place. There is space to explore your needs and desires and relationship to life. You can become gently aware of the thoughts and habits that are no longer serving you and learn practical techniques to lovingly come home to yourself with greater presence and awareness. The sessions will work to uncover a kind and wise attitude toward yourself, others and life that can bring about greater clarity, discernment and authenticity. Our time together will offer you practical tools to come home to yourself through the practices of gentle Yoga, Voice Work and Meditative Techniques. This holiday is for you if you are looking to live with greater intimacy in relationship to yourself, community and life. Hayley will draw upon decades of mediation practice and share tools for self inquiry. These will include the contemplative practice of Meditation, The Meditative Voice, and the deeply rejuvenating practice of Yoga Nidra. These tools can help to not only enhance awareness, but also to deeply relax and restore the body, mind, heart and spirit. Every session with Hayley will have an emphasis on Self Inquiry and will be woven into each part of this entire experience. Hayley will share a somatic approach to yoga that incorporates mindful and intuitive movement anchored in the body by the breath. The practice is tailored to the needs of the practitioners and allows for adaption in both sequence and form. This encourages the practitioner to develop their own unique relationship with their body, mind, spirit and practice (Sadhana). Each session has a focus on enhancing awareness alongside a safe and effective practice that can both challenge and deeply relax. The emphasis is on evoking and embodying a loving state of presence and awareness that can be utilised not just on the mat but also in daily life. Vocal-Play is both a contemplative and expressive exploration of the voice as a tool for Self Inquiry. We will use the voice to explore our present experience, as well as to connect with each other through joyful song and to reach deeply into ourselves and touch our own heart. There are three components to this practice. The Somatic Voice: We will use the voice and the feeling tones in the body to pierce more deeply into a state of embodied presence. Through touching into the unconditioned voice and body rhythms we can learn to stay with emotions, thoughts and feelings without agenda. In this way we can allow the consistently fluctuating patterns of nature to flow through us without becoming overwhelmed by them. We can both dance with life’s unceasing pulsation, at the same time as staying connected with that which remains still within us. The Joyful Voice: The use of voice in community. Using the voice to create conscious connections through toning, sound baths and singing together. The Meditative Voice: This practice can include vocal toning or mantra as a means to connecting into the stillness within. Every experience we have in life is a relationship. We are in consistent, dynamic communication with our own inner experience and the world around us. How we relate to ourselves and to each other is an important component of this week. Throughout the sessions there will be opportunities to work both individually and in small groups. The theme of connecting to each other consciously will be woven into the week to lay the foundations for healthy relationship in life in your life back home.